Gorgeous photo. I clicked on your link to the frozen falls too. I was there New Year’s Day of 2003 and it was devilish cold. Thermal undies, ski gear and thick boots kepts me warm enough, but it was way too cold for me to want to get out my camera – so you can imagine just how it was! I had a thick scarf right up to my eyes, and the only part of me which was cold was my eyeballs! They were so cold they hurt after a while! I cannot imagine just how much colder it must have to be for the water to freeze! 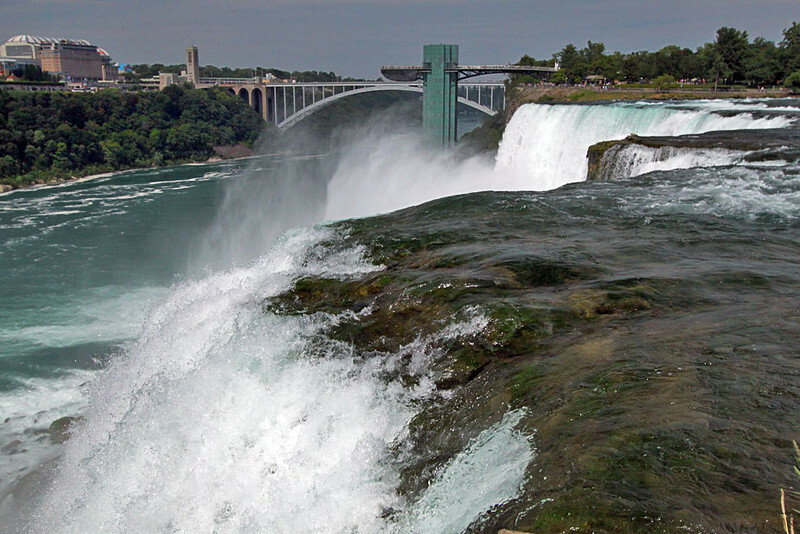 Hi Linda: Before I wrote that article about frozen Niagara Falls I had no idea that the falls freezing up was such a rarity, but now, having been there in summer and seeing the torrents of water flowing over the cliffs, I can better imagine what it would take to stop that power. I envy you, having been there in winter, though I don’t think I would have much liked the bitter cold. Thanks so much, as always, for reading!